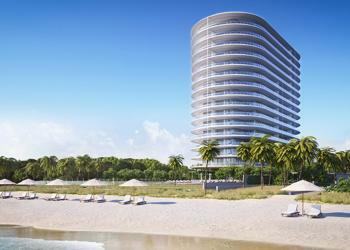 Eighty Seven Park by Renzo Piano is an 18-story tower with an array of seventy residences ranging from 1,000 Sq. Ft. to 4,100 Sq. Ft., situated in Miami Beach. 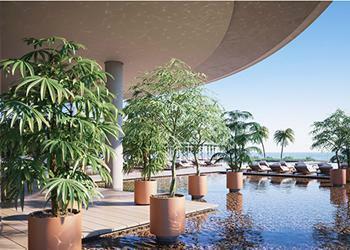 This project offers expansive terraces, allowing panoramic views of the park, the ocean, Biscayne Bay and the city. The desirable setting for the project will offer residents close proximity to the Bal Harbour shopping area and Indian Creek, providing access to the most exclusive dining and shops in Miami. 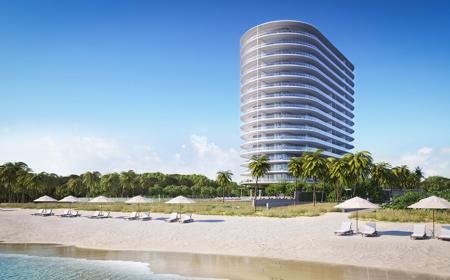 West 8 is an architect firm specialized in outdoor planning, in charge of the beautiful landscape at Eighty Seven Park, that includes the lavishly designed North Shore Park and the private garden, which will bring you closer to the tropical South Florida atmosphere. 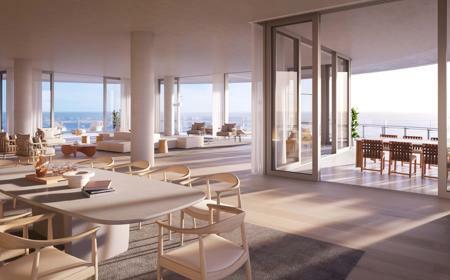 Boasting 18 floors including the penthouse, Eighty Seven Park offers what everyone desires: open spaces, full of light and air, and the best ambiance that this elite neighborhood provides. Charming and sophisticated spaces were created with materials such as oak grains and natural stone alluding the tropical nature of South Florida and interconnecting the appointed interiors and the outdoor living that showcase the fantastic Atlantic Ocean vistas from the terraces, balconies and floor-to-ceiling windows. 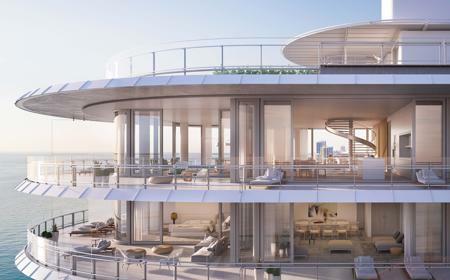 At Eighty Seven Park luxury and location are translated into the structure design, creating a new form of ten-foot-high ceiling residences over the water, with open floorplans and balconies resulting in the most dramatic views in Miami Beach. The interiors by RDAI are completed with a selection of elegant fixtures in bathrooms and kitchens, like Italian cabinetry with glass doors, stone countertops, natural oak panels and integrated appliances from Wolf and Sub- Zero, plus award-winning Zucchetti accessories. Under the leadership of Davide Bizzi this renowned real estate firm is leading the market in different parts of the globe. Bizzi & Partners Development, with offices in Europe and America, has a large portfolio including residential and commercial spaces, to meet the demand for sophisticated and innovative projects. Starting in 2000, the company has grown and has gathered a massive amount of experience in the different fields of real estate development from architecture to the construction phase. 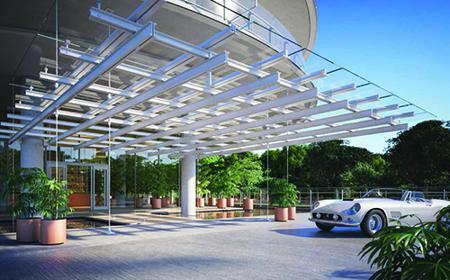 RPW is an 11-partner architectural firm, including star architect Renzo Piano, a Pritzker Prize recipient. The team has offices in Europe and the United States, always ensuring that every detail works in their complex designs, that have earned major industry awards. The group creatively uses materials and construction techniques giving rise to innovation and uniqueness, which are reflected on its portfolio.